The answer to that question for many students in our WLHS Student Homes program is this: "We played outside!" 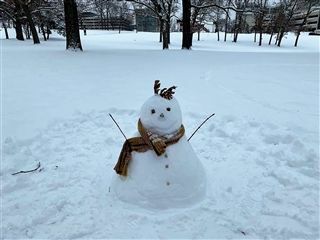 Take a look at the snowman some of our students created. Please be safe in this winter weather, and have some fun in it, too!